SASKATOON, SASKATCHEWAN: In an historic day at Wanuskewin Heritage Park in Saskatoon, Tribal Chief Felix Thomas of the Saskatoon Tribal Council and Wayne Brownlee, Executive Vice President and CFO of PotashCorp joined Wanuskewin Board Chair Candace Wasacase-Lafferty to announce Thundering Ahead, an ambitious renewal plan for Wanuskewin supported by an impressive $40 million capital campaign goal. The $40 Million Capital Campaign consists of a $25 million cash fundraising goal and $15 million to acquire land to expand park boundaries, necessary for consideration as a United Nations Educational, Scientific and Cultural Organization (UNESCO) World Heritage Site. The team announced that they have already raised two-thirds of the needed funds. The renewal is multi-faceted and involves reintroducing exhibit galleries and improving educational offerings, expanding the current facility to accommodate larger conferences and meeting groups, renovating the nearly 25-year-old interpretive centre, preserving the ecology and biodiversity of Opimihaw Valley, and expanding the land base to be home to a small herd of Plains bison. 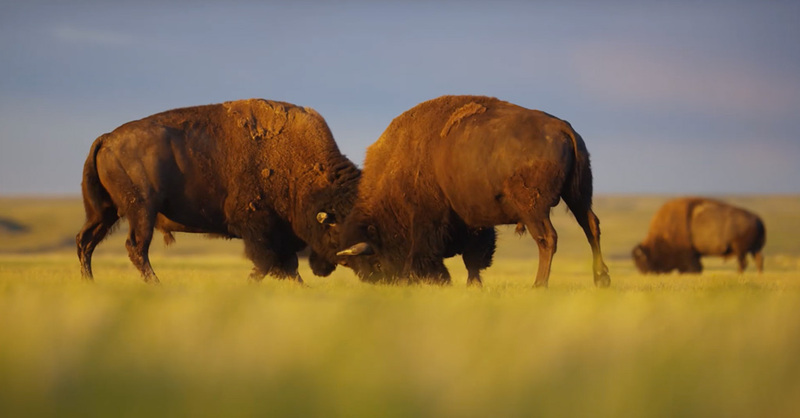 To return the majestic bison to Wanuskewin’s plains. On August 31, 2016, Wanuskewin and the City of Saskatoon announced the long-term lease of approximately 375 acres of adjacent City-owned lands for $1 per year for 99 years. On June 17, 2016, Wanuskewin publicly revealed a team of exceptional community leaders who have committed to help Wanuskewin realize its ambitious plan, and on February 26, 2016 announced formal intent to apply to become Saskatchewan’s first UNESCO World Heritage site. Wanuskewin Heritage Park is located five kilometers north of Saskatoon. It opened in 1992 and has been host to many historic events, including a royal visit in 1986 by Queen Elizabeth II. In December 2016, the Catholic Church announced that an invitation had been extended for Pope Francis to visit Wanuskewin to offer an apology to residential school survivors in Canada.